The Oxford Wine and Craft Beer Festival is a three-time winner of Ohio Magazine’s Best Wine Festivals in 2014, 2015, and 2016. Attendees can enjoy a variety of international and domestic wines and craft beers. Once again the festival will feature an exciting lineup of local musicians. This year visitors can look forward to hearing: Jake Roberts Band, Linus Tate, Jay Jesse Johnson, and Thunder Bay. Live music will continue throughout the afternoon and into the evening. 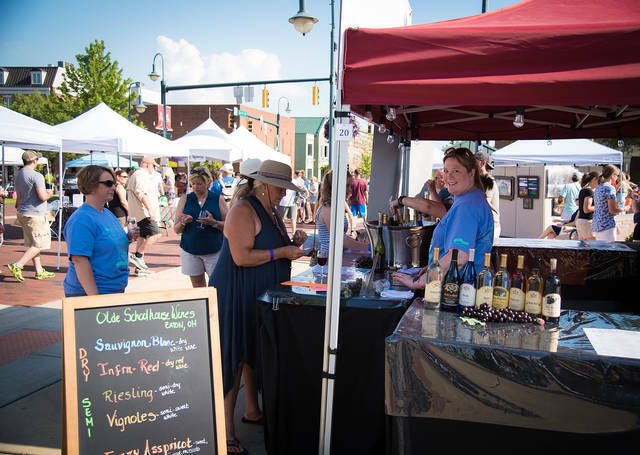 There will be opportunities to browse a wide variety of booths featuring works from local artisans as well as a range of food favorites, from La Pampa Mobile Grill and Just Jerks Jamaican Grill to local fare such as La Rosa’s and Graeter’s. Proceeds from the festival will support Oxford’s Chamber of Commerce scholarship fund. Tickets for the festival will be available online beginning noon on Monday, April 15. Buy online for $25 or the day of the event for $30. A ticket buys participants five “tasting tickets” (to be used for both wine and beer) and a souvenir wine glass.